I can now confirm that the Sony FS7 with 4K Super 35mm sensor using the Sony FE 24-70mm f4 ZA OSS Carl Zeiss lens does indeed have a 1.5 crop factor. I also now have the cracking 10-18mm f4 wide zoom which has an effective field of view of 15 – 27mm very useful indeed. Sony have E mount and FE mount lenses, very confusing. 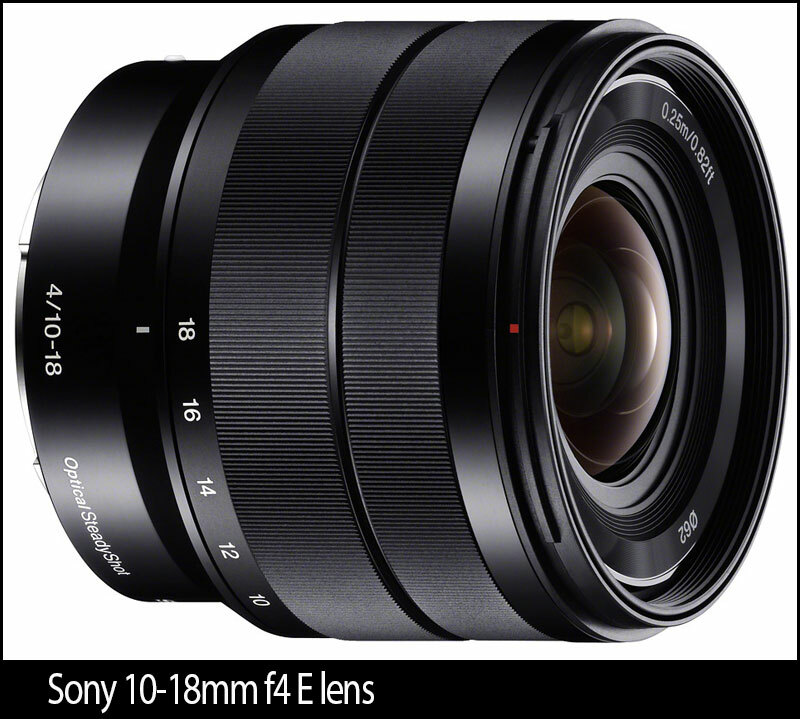 FE indicates Full Frame E mount lenses for the Sony A7s etc. but the FS7 uses a Super 35mm sensor which allows you to use FE or E mount without vignetting. This is especially useful for a larger choice of lenses. The 24-70mm is a full frame lens but on the FS7 with a 1.5x crop the lens is equivalent to a 36-113mm. Still no sign of my servo zoom but a reader has posed the question about the wide side of this lens…will it be wide enough. The Super 35mm sensor will always cause a 1.5x crop no matter what lens you use. 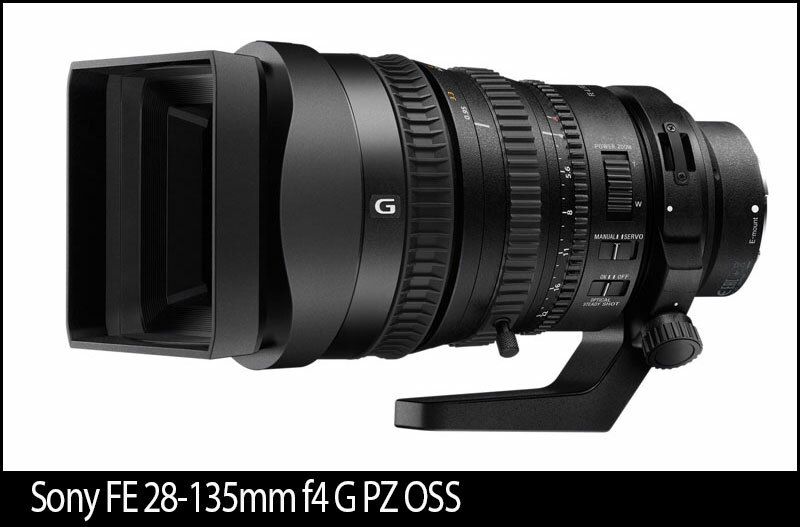 The 28-135 with a 1.5x crop will be the equivalent of a 42-203mm lens. Having the 10-18mm lens (15-27mm 1.5x crop) gives me a two lens camera bag. The Sony FE 24-70 f4 lens is my standard zoom for my Sony A7s. In the earlier days of my photographic career I was more than happy with a standard lens (50mm) it was usually the sharpest lens you could buy and wide lenses were not as sharp back then. Today wide lenses have improved enormously, especially wide zooms. My Sony 10-18mm f4 lens is just the job for getting dramatic landscapes and interior shots. The quality of the optics are superb and having a constant aperture is a major bonus. Back to the question can I live with a servo zoom at an angle of view of 42mm at the wide end, no problem, 30mm would have been better but to be honest I have a 10-18mm lens in my bag and you don’t need a wide servo zoom lens so as far as my filming is concerned I am covered. If I get any further lens it might be the Zeiss 35mm f/1.4 FE lens due late March which would cover any lower light filming and interviews. Hey Philip, stills guys are using the 10-18mm OSS on full frame cameras. Even on an A7R/S, if you keep the 10-18 between 10-16mm it offers enough coverage for the full frame sensor. HDW : Hi Chris sorry to disappoint you but the 10-18 does not work on the A7s on full frame mode, you can however switch the “APS-C Size Capture” to Auto or On then you can use the lens. 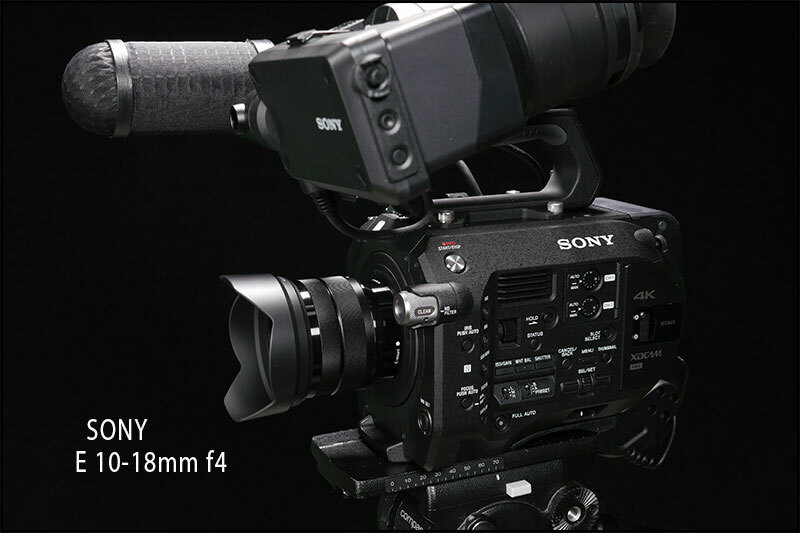 When it comes to lens for the FS 7 you also could use the Sony E 18-105/ F4 G-OSS. With the crop factor of 1.5 you get 27-158 mm .Its made for the NEX series but it also features servo zoom on the side and E mount. Have fun with the new camera. Correct me if I’m wrong, but I believe the **field of view** on any given lens attached to the FS7 is the SAME, regardless of whether the camera is recording HD or 4K. Since the sensor is more or less Super 35 sized, this means that a 10mm lens (for example) is giving you the field of view that a 15mm lens would have on a full frame camera. There is nothing exciting, unexpected, or headline worthy about this information. 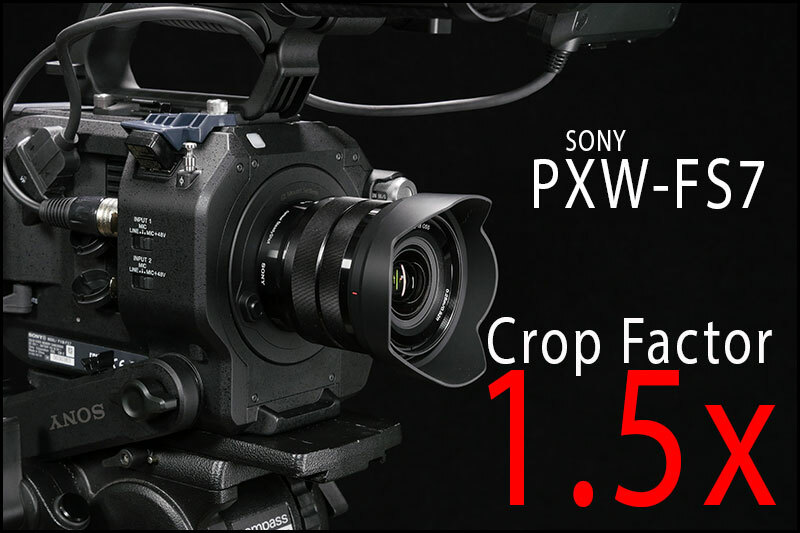 Sony stated from the beginning that the FS7 had a Super 35 sensor, ergo the camera has a 1.5x “crop factor” on all lenses regardless of recording mode. Just as all APS-C stills cameras have a 1.5x crop factor as well, regardless of what size you choose to save the image. Point 2. There is nothing exciting, unexpected, or headline worthy about this information…Firstly its a blog, its my findings…Secondly many people are confused about the FE 28-135 F4 servo lens and whether the 28mm (42mm 1.5x crop) will be usable. Do you know if that new sony lens is parfocal?Like the one on my old ex1? HDW : I will assume we are talking about the 28-135mm f4 lens. As far as I have read the lens will stay in focus if you zoom in, focus and pull wide like a true ENG lens. Its also a constant aperture lens. I’ve seen (on YouTube for example) that the 18-105 f4 with Power Zoom is a no go for the FS100 or FS700 due to a massive pillow distortion problem. The problem is easily fixed internally on Sony stills cameras, but these older NEX videocameras cannot fix it. I wonder if the FS7 can fix it, the a6000 can fix it for JPEG stills but I’ve just to discover if the video mode is OK. The a6000 is a cracking little camera, lovely 1080p at £500 with decent focus peaking and zebras too. I put my $$ on that 28-135 because it is the cheapest parfocal,telecentric full frame lens with Manual and Auto control and IS and Constant F-stop..
For that money there is nothing else…Cabrio is 10x more. Being Full frame lens on Full Frame Camera with crop 1.5, this make sit 2 lenses in one. I hope there will be some new Full Frame camera shown by Sony this NAB. Do not want to end up with A7s. Finally this lens is a waste on FS7 and using it shooting news is impossible, one needs wide lenses for news..
HDW : I was listening to Doug Jensen last night and he went over the 28-135 lens and although he likes it he feels the same way as you its not wide enough. Sony have cocked up here this should have been a 16-120. HDW : Its not a servo zoom and its about £6500. Now on to the FS7. Mine is on order. Why? In my field (TV docs) people seem to be falling over themselves to dump their C300’s and buy this machine. I swam against the tide on my last purchase to buy the Panny HPX250 which I believed (and still do) to be a far better camera than the Canon xf305 which was all the rage 4 years ago and which has been widely adopted by broadcasters for self-shooting PD projects. My Panny has served me very well and continues to do so and while I produce much of my own content with direct commissions from the broadcasters/clients, the camera does not make me an attractive package to other prod cos who may want hire me for their projects and so it has to go and hence the FS7 purchase. There is a long lead time for the FS7 at the moment and so while I wait for mine to arrive I thought I should also check it out. I went to Look & Listen Experience in Bristol yesterday and got very cold feet. Firstly the viewfinder Loupe will not focus for my eye (have addressed this on another of your threads) but there is a fix for that with Hoya. “Sony have cocked up here this should have been a 16-120.” I could not agree more. a) 40mm (ie. 28 x 1.5) is not wide enough for 75% of obs doc work which is up close and personal b) It is very bulky. Not a bad thing if you have a large crew, but when you work as a self-shooting PD all your critical gear needs to fit into one bag for flights etc, so massive glass is a no-no. Also a massive lens is far from ideal when filming intimate obs docs. c) The lens is no mechanical. I always shoot everything manually (my first rule of thumb with any kit, dating back to the Sony 400 beta-sp rigs is turn zoom demand off to save batteries). A crash zoom becomes a spongy mush. Fast reframing is impossible with this lens. Again, NG for obs doc or even a simple interview. d) F4. Not fast enough. As I understand the cameras effective ISO is 2000 which is super sensitive, but if you’re a shallow DOF fan, or even if you just like a nice bright lens to work with, F4 is just NG. The FS7 certainly has lots of plus points, but there has to be a better lens solution out there…surely…? HDW : During BVE I noticed Dan Chung had a Metabones Speed Booster adapter with the 24-70mm f2.8 Sony A mount lens, remember due to the speedbooster the 24mm will become 16mm because it has a 0.7x crop rather than the 1.5x crop without the booster. (SB crop = 16-49mm f1.4). If we want to be accurate about crop factors let’s do the math at a crop factor of 1.6 for the Sony S35 sensor not 1.5 which is incorrect. That 24-70mm with the Metabones 0.71 reduction would become a 17.04mm t0 49.7mm lens. As far as the wide end goes if you think 1.00mm isn’t much on field oo view just try Canon’s Field of View Comparator and type in 16mm and then 17mm and then compare. It makes a reasonable difference.